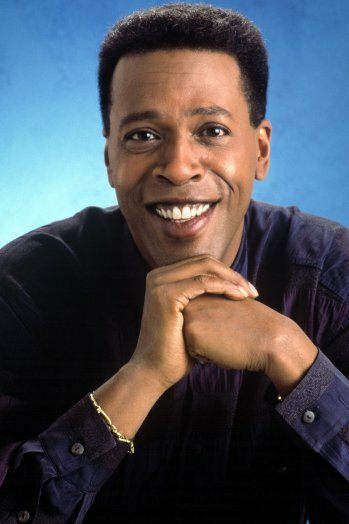 Actor Meshach Taylor has died at the age of 67. He passed last night at his family’s home in Altadena, California, where he was receiving hospice care. It’s reported that he had been battling cancer. Taylor was best known for playing Anthony Bouvier, an ex-con who worked at the Sugarbaker interior design firm on CBS’ Designing Women. During the show’s seven season run, he co-starred with Dixie Carter, Delta Burke, Annie Potts, Jean Smart, Alice Ghostley, Jan Hooks, Julia Duffy, and Judith Ivey. Following Designing Women’s cancellation, Taylor moved on to another CBS sitcom, Dave’s World. Starring Harry Anderson, it ran for nearly 100 episodes and four seasons. He later became a semi-regular on Ned’s Declassified School Survival Guide. Taylor guest-starred on numerous other TV shows over the years. His most recent appearance was on an episode of Criminal Minds, playing a character he first played in a 2012 epsiode. THR reports that Smart, Burke, Gerald McRaney, Joe Mantegna, Dennis Franz, Shadoe Stevens, Ernie Hudson and others gathered to celebrate Taylor’s 67th birthday at a party in April. He is survived by his wife, actress Bianca Ferguson, and children Tariq, Yasmine, Tamar and Esme. What do you think? Did you enjoy Meshach Taylor’s work? Do you have any favorite performances or characters? RIP MT.i watched Designing women and Dave’s World as a kid but my favorite Meshach role was ” Hollywood” in the @Mannaquin” movies . I enjoyed his work,I liked his character on designing women.that’s so sad to hear about his death & I’m going to miss him deeply. You will be missed, may the family find some peace at this time. R.I.P. Meshach, loved you in Designing women, loved your comedy, loved you, God Bless your family in this sad time, until then…. Rest In Peace Meshach! I have been a Designing Women’s fan from DAY 1 and I am still watching reruns on TV now! My favorite episodes are when Anthony and Suzanne cook up some kind of ridiculous scheme and I never get tired of seeing those episodes! Those were the days when COMEDY was actually funny and nothing is funnier than Anthony and Suzanne together! I never fail to laugh till my sides hurt everytime I see one of their episodes! I will miss you Meshach(Anthony)! You brought much joy and laughter into my life and still do!